Hi Christian, thank you for taking the time to speak with me today. Please begin by introducing yourself and FXFair to our readers. Thank you! FXFair is an independent Broker founded in April 2013 by two traders included myself who dreamed of their own trading platform. We offer a perfect environment for traders, no re-quotes, no dealing desk, a very fast market execution, high liquidity and tight spreads with no hidden costs. We can say our platform is from traders for traders. FXFair is an ECN/STP Broker. What are the advantages to trading with an ECN/STP Broker? Trading with an ECN/STP Broker is the best option for traders in our opinion. ECN/STP Brokers never trade against the client or hold their positions. They provide traders with direct access to the Forex market without any intermediaries. In other words, what you see is what you get. What is the technology behind your platforms? We offer our clients the Metatrader4 trading platform and an interbank access to Forex, CFDs on indices and commodities as well as liquidity and spreads of the largest Tier1 banks in the world. We use the bridge technology which brings our clients trades directly to the market. What partnership options do you offer? 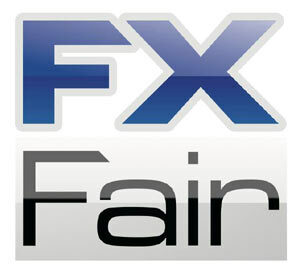 FXFair offers IB/Affiliate and white label partnerships. We promote trading talents; if they are special we capitalize an account where they can trade. What markets do you currently operate in? Do you have any plans for expansion? Currently we operate in the Asian market. A great market with a lot of enthusiastic traders. Of course we are interested to explore new markets in the future. FXFair is a member of the Financial Commission. Why did you decide to participate? Yes, we are. The Financial Commission is an independent international dispute resolution organization that handles conflicts between traders and brokers. The entire Team of independent experts protects the interests of Forex traders and investors and is not related to any brokers. The organization will bring more transparency into the entire market and it is a great alternative to regulatory or legal review. Honestly, we are proud of being one of the first members. We want to give our clients a personalized approach and increased transparency.